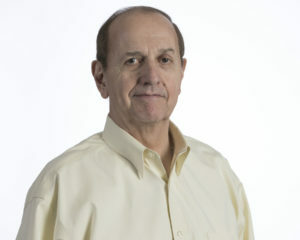 Larry Widgeon, a graduate of the University of North Carolina at Chapel Hill, began KITCO as a subsidiary of Norfolk Wire & Electronics in 1993 as their Educational Services Division. Customers soon demanded a separate unbiased “kitting” company that could train and supply commercial and military fiber optics to the entire fledgling industry. Larry worked tirelessly with NAVSEA Systems Command and assisted in developing the MIL-STD-2042(SH) and with all major commercial connector and fiber manufacturers to design universal and private label cleaning & inspection kits, test equipment kits, fusion splice kits, termination kits, and specialized reference cables. In 1995 the company moved into a new building and was named KITCO Fiber Optics. Larry was named President & CEO. KITCO became a completely separate company in early January of 1997 and Larry remained as CEO until 2003. That same year, Larry began to concentrate on developing fiber optics for the Ground Tactical Arena. In May of 2016 Larry retired. However, when Marmon Aerospace & Defense officially acquired KITCO, Larry became eager to return to the company and help with its further expansion. Larry has been instrumental in building the foundation of KITCO Fiber Optics and is looking forward to growing its future as the new National Sales & Marketing Manager.